Automatic and continuous screen changers play a crucial role in top quality, high performing extrusion line. The right choice must be made with an eye on the overall profit and loss accounts concerning an extrusion line: filtering systems must be increasingly performing and energy saving. Contaminant filtering has always been a key function for anyone using, manufacturing and selling top quality and high performing plastics extrusion machineries. 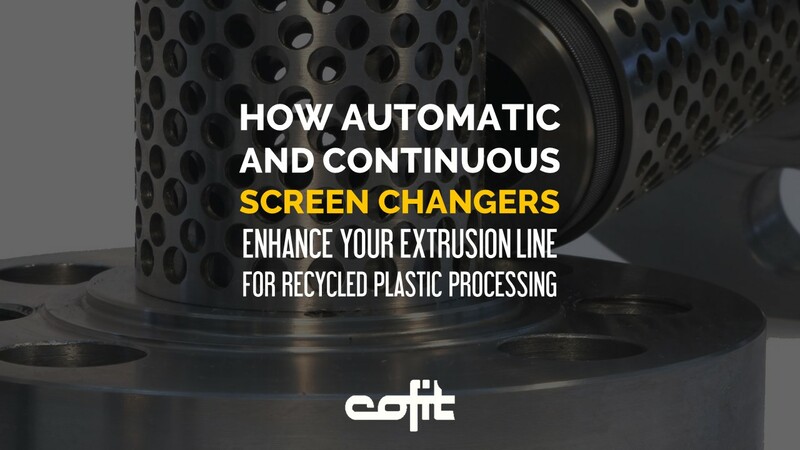 In your extrusion line, the screen changer is an essential component in producing plastics from highly-contaminated post-consumer materials as well as in filtering clean plastics as it frees the final product from contaminants. In an extrusion line, contaminant filtering function directly impacts on the final product: the better the filtering, the higher the chances to manufacture a high quality – and most valuable – product. Nowadays, focusing on choosing automatic and continuous screen changers is essential to start or redefine a competitive high-quality plastics production, in manufacturing as well as recycling lines: as a matter of facts, automatic and continuous screen changers do not require any manual interventions in screen changing and do not stop the extrusion flow. Automatic and continuous screen changers offer optimized and continuous top quality clean and recycled plastics production. Featuring such technical specs, an automatic and continuous screen changer can operate independently and without requiring any maintenance intervention for long. Moreover, the automatic screen changer continuous operation minimizes its energy consumption. And the energy consumption minimization offered by an automatic and continuous screen changer makes it possible to draw on machine continuous operation, while providing your business with actual economic benefits. In this respect, energy consumption is a key factor in deciding to integrate an automatic and continuous screen changer into a plastics extrusion line. Screen changers absorb power to reach and keep the temperature required for the processed plastics material (aka heating power). In other words, the larger the filtering area, the higher the required energy. Similarly, higher energy is required for higher throughputs. Today, standard filtering system heating power exceeds 50 kW. Gorillabelt T has been designed and manufactured focussing on optimising energy requirements. Gorillabelt T overall max energy consumption is lower than 25 kWh. In other words, Gorillabelt T energy consumption is minimized if compared to energy required by similar systems. When you choose to equip your plastics extrusion system with Gorillabelt T you achieve a significant saving, right from the start. Watch the video to fully understand our automatic and continuous screen changer operation and to find out how Gorillabelt T is the right solution for your production line. 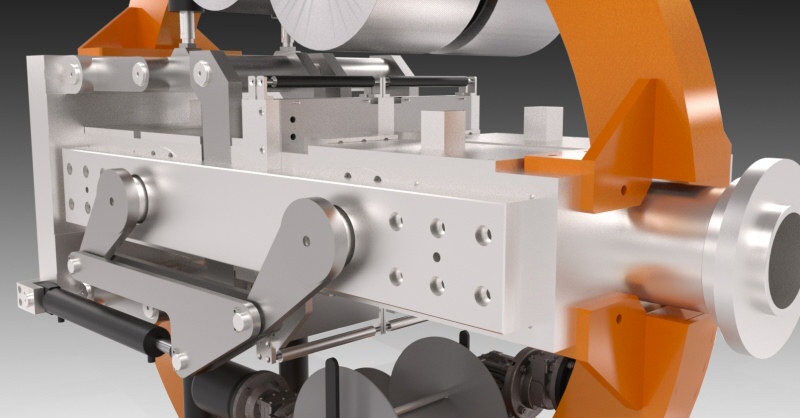 Today, Gorillabelt T by Cofit is the pace-setting automatic and continuous screen changer for plastics extrusion lines. Gorillabelt T is synonym for top performing and power saving automatic and continuous screen changer. Gorillabelt T delivers a filtering area up to 816 cm² to filter any materials (HDPE, LDPE, LLDPE, PP, PET, PS, ABS, PC, PA, PMMA, etc.). It also filters post-consumer materials featuring very high contamination levels, even exceeding 10%. Gorillabelt T filtering accuracy can be as high as 50 microns (270 mesh), and throughput may exceed 3,000 kg/h – i.e. key performance indicators that make Gorillabelt T the top performing screen changer for plastics extrusion. 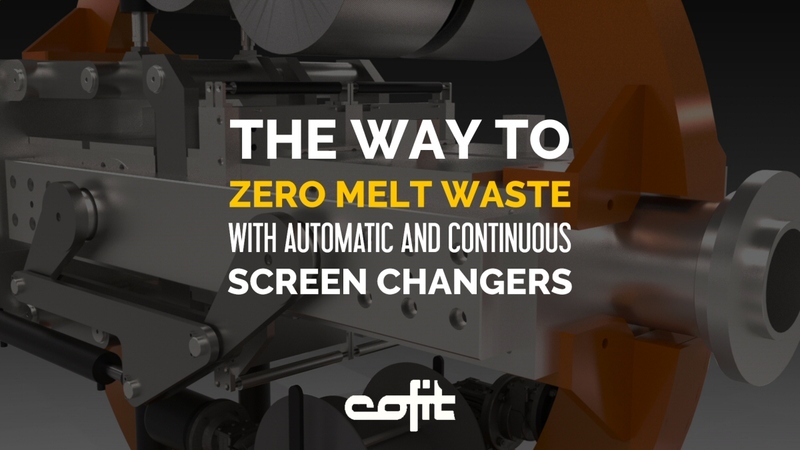 Today, Cofit is at the forefront of screen changing – Gorillabelt T is the most innovative automatic and continuous screen changer for plastics recycling, and the lowest energy solution on the market. 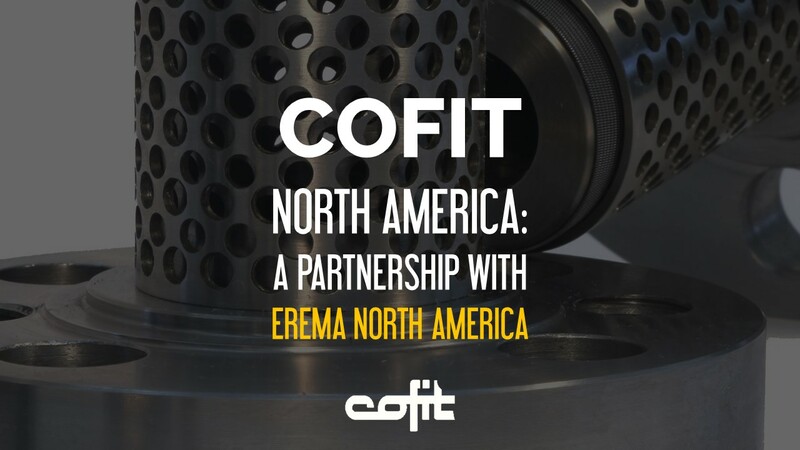 Cofit deals with research, engineering, manufacturing and distributing automatic and continuous screen changers for post-consumer and post-industrial recycling materials. 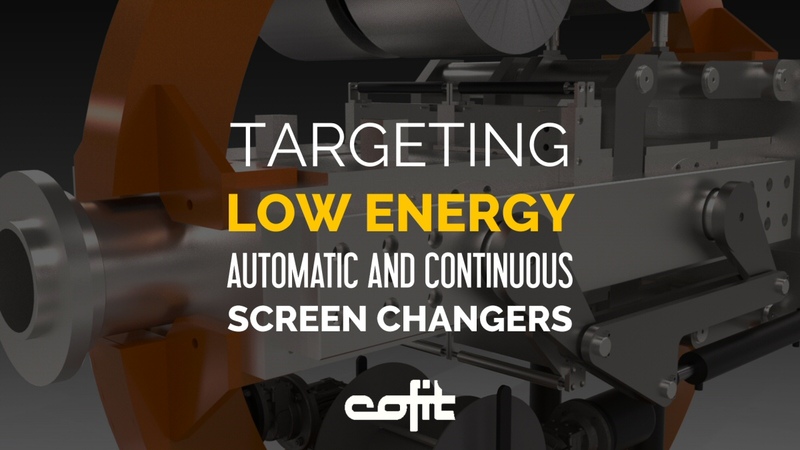 Are you eager to test your materials on Cofit screen changers? Contact us to arrange a test. Download our 3D diagrams, contact us to upgrade your plastics extrusion system, ask for further details about our products. Follow us on Linkedin.